How is Class Dojo used? Adult supervision is provided on school grounds from 8:05 a.m. until the first bell rings at 8:15 a.m. Students should not be arriving at school earlier than 8:05 a.m. unless they are participating in a special activity (i.e. Safety Patrol, Student Council, etc.) Students should leave school and playground when dismissed at 3:08 p.m. or go immediately to after school activities. Lunch Schedule Students will have a 15 minute lunch immediately followed by a 15 minute recess. Any time you enter the building you must sign in at the office and wear a visitor sicker. Do Not Enter Please do not enter the parking lot between 7:30-8:30 and 2:30-3:30. This ensures the safety of our students and staff. The parking lot is Staff parking only. Our Basic’s Program families need to sign in their child and are allowed to drive into the parking lot during those hours. Let all help to keep our students and staff safe. Need more information? It’s probably on our website in Madison’s 10 Things You Need to Know. 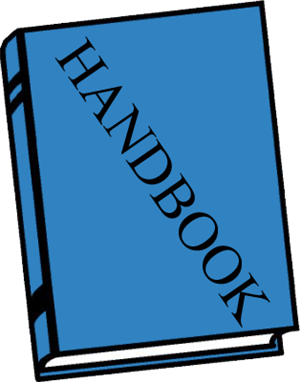 Also, feel even more engaged in your child’s school by checking out our district-wide Elementary Parent Handbook. 1. Visit the Madison Website for current events, staff contact info, calendar, newsletter and much information. Our page is part of the School District of Janesville website which all even more valuable information. 2. View the Madison Calendar on the website. Events are added as soon as we schedule them, so you can plan ahead. You can even add this Google calendar to your own set of calendars and set reminders for yourself. 3. Share your email address and phone number(s) with us and set your preferences through Infinite Campus to receive general notifications via email and phone.. Lincoln staff as well as district level staff send periodic messages regarding featured events and opportunities. 4. Like us on Facebook. We often send out reminders of events and share photos and highlights of activities at school. You can access much information on the Infinite Campus Parent Portal, such as your child’s attendance and grades. You can keep your contact information current, update your emergency contacts, and pay fees. Here’s instructions to a few specific tasks. Click links below. Join the Madison PTA. Our PTA puts on amazing events though out the year to help raise money for our school. Meetings are held on the 3rd Monday of every month in the LMC at 5:30. You can also sign up to volunteer to help at the various events. Box Tops For Education Collection Dates: October 1– October 11 You can clip Box Tops for Education from various household and food products then submit them to Madison. We receive ten cents for every label we send in. This will raise a lot of money for our students, so please join in this valuable fundraiser and tell your family and friends! We welcome all volunteers! Please make sure that you fill out a District Volunteer Application. 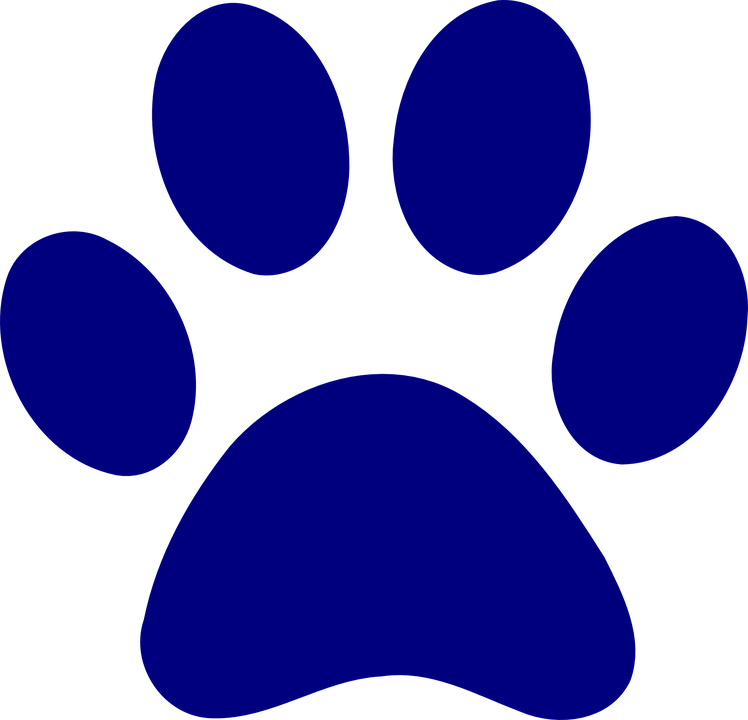 You must have an approved volunteer form on file before you can volunteer at the school for any events, PTA and/or Classroom. 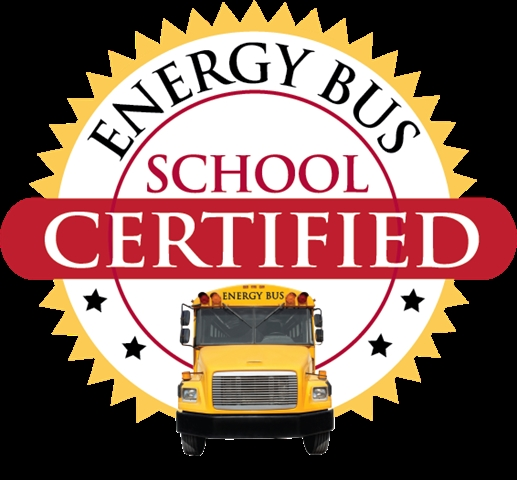 Welcome to Year 2 of The Energy Bus for Schools Leadership Journey (EBSLJ)! Our mission is to inspire and develop leaders (students and educators) who positively impact schools, families, communities and the world! This year we would like for you, our families, to take a more active role in helping your school sustain a positive culture. Last year, your school was introduced to the 7 principles that are at the core of everything that we do. They learned how to apply these principles in their personal life as well as in the school and classrooms. In Year 2, we will continue to reinforce the 7 principles, introducing one principle per month and using these principles as our common language that will guide our behaviors and attitudes. This year we will strengthen student’s voice in using and applying the 7 principles as they dive deeper into understanding how these concepts will help him/her become a better student in their personal and academic lives. Although our focus this year is Student Leadership, it is important that you, the adults continue to practice and model these behaviors for our students as they watch you grow in your leadership. This year teachers and staff will engage in activities that will help them support student leadership in school as well as the classrooms. Principle 2: Create a positive vision- teaches the importance of setting positive personal and academic goals as they become active participants in the learning process. Principle 4: Fuel Your Ride with Positive Energy- reveals ways to become a more positive person while learning how your behavior can impact everyone in the learning community. Principle 5: Transform negativity – look at ways to turn challenges into great opportunities for learning and growth. Discussing the principle of the month with your child and ways they’ve demonstrated it at home and in school. Reading The Energy Bus for Kids book or The Energy Bus 10 Rules to Fuel Your Life, Work, and Team with Positive Energy by Jon Gordon with your child at home. Embracing the 7 principles in the home environment and talking about ways it applies to you in your work and life. Meeting with your child’s teacher(s) and administrators to discuss ways you can partner with the class or the school on this rewarding journey. We are excited about our journey together and look forward to partnering with you and your family as we develop ways to create and sustain a positive school culture. As a school with a low-income rate of 71%, Madison School receives federal Title I funds to support the learning of all students through a Schoolwide Title I Program. Schoolwide programs serve all children in a school. All staff, resources, and classes are part of the overall schoolwide program. The purpose is to ensure all students, including those most in need, are positioned to meet the state's challenging academic standards. Schoolwide Title I schools annually complete a needs assessment to identify the school’s strengths and areas for improvement in student achievement, develop strategies and actions steps to address how the goals identified will be achieved, and evaluates and updates the plan as needed. Schoolwide Title I schools are required to engage parents and families in the Title I planning and evaluation process as well as provide opportunities for parents and families to engage in supporting their child’s education. Copies of the Schoolwide Title I Plan and the Title I Parent and Family Engagement Policy are available upon request. Please contact the school secretary at 608-743-6806 or vcarpenter@janesville.k12.wi.us to request a copy. If you are a non-resident of the School District of Janesville and have a child turning 5 (five) years old prior to September 1, 2019 and would like your child to attend the School District of Janesville you must also apply for OPEN ENROLLMENT. The timeline for Open Enrollment is February 4 to April 30, 2019. Currently open enrolled non-residents in a P4J or EC program do not need to re-apply. If you have questions regarding the Open Enrollment process, please contact Deen Hartley at 608-743-5152. If during the school year, you move outside the School District of Janesville and you wish to remain at your current school please contact the Open Enrollment Specialist at 608-743-5152 and request a tuition waiver form within two weeks of your move. This will allow you to be eligible to attend your current school for the remainder of the current year tuition free. To continue attending the School District of Janesville after the 2018-2019 school year, you will also need to complete an open enrollment application. Application instructions are provided to the School District of Janesville by the Department of Public Instruction (DPI) and should be available by late January 2019. This year applications will be accepted February 4 – April 30, 2019. If you have questions regarding Open Enrollment or Public School Choice, please contact the Open Enrollment Specialist at 608-743-5152. 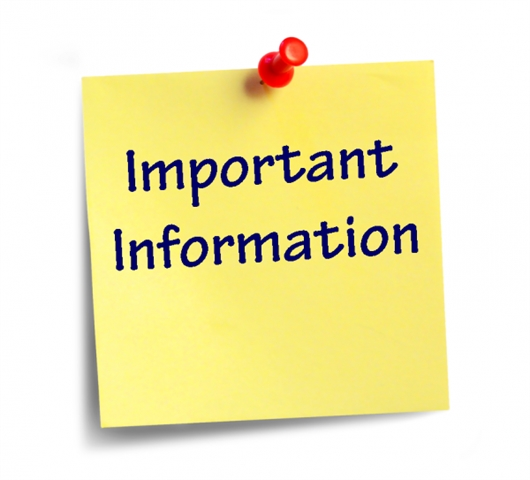 If you will be moving from your current home address please contact the Franklin Middle school office at 608-743-6000 as soon as possible to determine what paperwork you will need to fill out for your child to continue attending his/her current school. Please note: if you are moving to an address outside the School District of Janesville in most cases your child is eligible to continue attending the School District of Janesville as long as you complete the appropriate paperwork within the required timeline. If you have any questions about school placement for a particular address please contact Open Enrollment Specialist Deen Hartley at 608-743-5152. The New Student Enrollment Office is open year round. If you are the parent of an elementary student and will be moving over the summer months when the elementary schools are closed, please contact Open Enrollment Specialist Deen Hartley at 608-743-5152 or the New Student Enrollment Office at 608-743-5072 or 608-743-5153 to complete the appropriate paperwork. Have to have snow pants and boots to play in the snow. If they do not have snow pants and boots they must stay on the blacktop. It is their choice whether or not they wear snow pants and boots, however they will not be allowed to get a change of clothes. School attendance is important. The State of Wisconsin allows parents to excuse their student from school up to ten days. If your student has missed school because of a medical, dental, therapy, or counseling appointment of any type, please bring documentation from the appointment as these appointments do not count against student attendance. Students should leave school and playground when dismissed at 3:08 p.m. or go immediately to after school activities. Students will have a 15 minute lunch immediately followed by a 15 minute recess. Any time that you are going to be in the building you must sign in the office and obtain a visitor badge. Please remember that before school and after school staff may be in meetings and will be unavailable to speak with you. Please email, Dojo or call them to schedule a time to meet. If you need to pick up your child up early from school, please make sure that you send a note or call the school. All students need to be signed out by an adult in the office. If your child is not in the office when you arrive, office staff will call them out of the classroom. Please do not go to the classroom to pick up the student. The volunteer form is now available to fill out online. This will allow for a faster turnaround. A solicitud, Distrito Escolar de Janesville está obligado a evaluar a un menor para determinar si éste requiere servicios de educación especial. Se conoce como recomendación a una solicitud de evaluación. Cuando el distrito recibe una recomendación, el distrito designará un equipo de Programa Individualizado de Educación (IEP, por sus siglas en inglés) para determinar si el menor tiene una discapacidad, y si el menor necesita servicios de educación especial. El distrito ubica, identifica, y evalúa a todos los menores con discapacidades que son matriculados por sus padres en escuelas privadas (incluyendo religiosas), escuelas primarias y escuelas secundarias localizadas en el distrito escolar. Un médico, enfermera, psicólogo, trabajador social, o administrador de una institución social quien crea razonablemente que un menor que ha sido llevado al mismo para recibir servicios es un menor con discapacidad, tiene el deber legal de recomendar a este menor, incluso si es un menor sin hogar, al distrito escolar en el cual vive el menor. Antes de recomendar al menor, la persona que hace la recomendación debe informar a sus padres que se hará dicha recomendación. Otros, incluyendo a los padres, quienes crean razonablemente que algún menor es un menor con discapacidad pueden también recomendar al menor, incluso si es un menor sin hogar, al distrito escolar en el cual vive el menor. Las recomendaciones deben hacerse por escrito y deben incluir la razón por la cual la persona cree que el menor es un menor con discapacidad. La recomendación debe hacerse contactando a Kimberli Peerenboom, Director de Educación Especial, Distrito Escolar de Janesville, en el 608-743-5061, o escribiéndole a 527 S. Franklin Street, Janesville, WI, 53548. 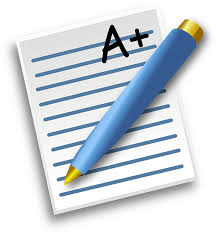 · "Progress records" include grades, courses the child has taken, the child's attendance record, immunization records, required lead screening records, and records of school extra-curricular activities. Progress records must be maintained for at least five years after the child ceases to be enrolled. · "Behavioral records" include such records as psychological tests, personality evaluations, records of conversations, written statements relating specifically to the pupil's behavior, tests relating specifically to achievement or measurement of ability, physical health records other than immunization and lead screening records, law enforcement officers' records, and other pupil records that are not "progress records." Law enforcement officers' records are maintained separately from other pupil records. Behavioral records may be maintained for no longer than one year after the child graduates or otherwise ceases to be enrolled, unless the parent specifies in writing that the records may be maintained for a longer period of time. The school district informs parents when pupil records are no longer needed to provide special education. At the request of the child's parents, the school district destroys the information that is no longer needed. · "Directory data" includes the student's name, address, telephone listing, date and place of birth, major field of study, participation in officially recognized activities and sports, weight and height of members of athletic teams, dates of attendance, photographs, degrees and awards received, and the name of the school most recently previously attended by the student. · "Pupil physical health records" include basic health information about a pupil, including the pupil's immunization records, an emergency medical card, a log of first aid and medicine administered to the pupil, an athletic permit card, a record concerning the pupil's ability to participate in an education program, any required lead screening records, the results of any routine screening test, such as for hearing, vision or scoliosis, and any follow-up to the test, and any other basic health information, as determined by the state superintendent. Any pupil record relating to a pupil's physical health that is not a pupil physical health record is treated as a patient health care record under sections 146.81 to 146.84, Wisconsin Statutes. Any pupil record concerning HIV testing is treated as provided under section 252.15, Wisconsin Statutes. · The right to request the amendment of the student's education records that the parent or eligible student believes is inaccurate or misleading. Parents or eligible students may ask [Name of] School District to amend a record that they believe is inaccurate or misleading. They should write the school principal, clearly identify the part of the record they want changed, and specify why it is inaccurate or misleading. If the district decides not to amend the record, the district will notify the parent or eligible student of the decision and the right to a hearing regarding the request for amendment. Additional information regarding the hearing procedures will be provided to the parent or eligible student when notified of the right to a hearing. · The right to consent to disclosures of personally identifiable information in the student's education records, except to the extent that federal and state law authorize disclosure without consent. The exceptions are stated in 34 CFR 99.31, Family Educational Rights and Privacy Act regulations; Sec. 9528, PL107-110, No Child Left Behind Act of 2001; and section 118.125(2)(a) to (m) and sub. (2m), Wisconsin Statutes. One exception that permits disclosure without consent is disclosures to school officials with legitimate educational interests. A school official is a person employed by the district as an administrator, supervisor, instructor, or support staff member (including health or medical staff and law enforcement unit personnel); a person serving on the school board; a person or company with whom the district has contracted to perform a special task (such as an attorney, auditor, medical consultant, or therapist); or a parent or student serving on an official committee, such as a disciplinary or grievance committee, or assisting another school official in performing his or her tasks. A school official has a legitimate educational interest if the official needs to review an education record in order to fulfill his or her professional responsibility. Upon request, the district discloses education records without consent to officials of another school district in which a student seeks or intends to enroll. Also the district discloses "directory data" without consent, unless the parent notifies the district that it may not be released without prior parental consent. · The right to file a complaint with the U. S. Department of Education concerning alleged failures by the District to comply with the requirements of FERPA. The name and address of the Office that administers FERPA is: Family Policy Compliance Office, U.S. Department of Education, 400 Maryland Avenue, S.W., Washington, DC 20202-4605. Distrito Escolar de Janesville requiere ubicar, identificar, y evaluar a todos los menores con discapacidades, incluyendo a menores con discapacidades que asisten a escuelas privadas en el distrito escolar, y menores sin hogar. El proceso de ubicar, identificar y evaluar a menores con discapacidades es conocido como intervención temprana o “child find”. Esta agencia lleva a cabo las siguientes actividades de intervención temprana cada año. Este aviso informa a los padres de los registros que el distrito escolar creará y mantendrá como parte de sus actividades de intervención temprana. Este aviso también informa a los padres de sus derechos sobre cualquier registro creado. El distrito escolar reúne información de identificación personal de cualquier menor que participa en las actividades de intervención temprana. Los padres, maestros, y otros profesionales proporcionan información a la escuela en relación al desempeño académico, conducta y salud del menor. Esta información es usada para determinar si el menor necesita servicios especiales de educación. La información de identificación personal directamente relacionada con el menor y mantenida por la escuela es un registro de alumno. Los registros de alumno incluyen datos mantenidos en cualquier medio incluyendo, entre otros, medios de almacenamiento informáticos, cintas de video y audio, película, microfilm, y microficha. Los registros mantenidos para uso personal por un maestro y que no se encuentran disponibles para otros y los registros disponibles sólo para las personas involucradas en el tratamiento psicológico de un menor no son registros de alumno. El distrito escolar mantiene diferentes clases de registros de alumno. · Los "Registros de Progreso" incluyen notas, clases que el menor ha tomado, el registro de asistencia del menor, registros de vacunaciones, registros obligatorios de detección de plomo, y registros de actividades extracurriculares de la escuela. Los registros de progreso deben ser mantenidos por lo menos cinco años después que el menor deje de matricularse. · Los "Registros de Conducta" incluyen registros como pruebas psicológicas, evaluaciones de personalidad, registros de conversaciones, declaraciones escritas relacionadas específicamente con la conducta del menor, pruebas relacionadas específicamente al logro o medición de la capacidad, registros de salud física aparte de registros de vacunación y detección de plomo, registros de agentes del orden público, y otros registros de estudiante que no sean “registros de progreso.” Los registros de agentes del orden público se mantienen separadamente de otros registros del alumno. Los registros de conducta pueden ser mantenidos por un lapso no mayor de un año después de la graduación del menor o después que el mismo deje de matricularse, a menos que el padre especifique por escrito que los registros pueden ser mantenidos por un periodo de tiempo mayor. El distrito escolar informa a los padres cuando los registros de alumno ya no son necesarios para proporcionar educación especial. A solicitud de los padres del menor, el distrito escolar destruye la información que ya no es necesaria. · Los "datos de directorio" incluyen el nombre del estudiante, dirección, teléfono listado, fecha y lugar de nacimiento, campo principal de estudios, participación en actividades y deportes oficialmente reconocidos, peso y altura de los miembros de los equipos atléticos, fechas de asistencia, fotografías, grados y premios recibidos, y el nombre de la escuela más reciente a la que haya asistido previamente el estudiante. de cuidado de salud del paciente según las secciones 146.81 a 146.84, de los Estatutos de Wisconsin. Cualquier registro del alumno sobre prueba de VIH es tratado como se proporciona en la sección 252.15, de los Estatutos de Wisconsin. · El derecho a inspeccionar y revisar los registros de educación del estudiante dentro de los 45 días posteriores a la recepción de la solicitud. Los padres o los estudiantes aptos deben enviar al director de la escuela [or appropriate school official] una solicitud escrita que identifique el(los) registro(s) que ellos desean inspeccionar. El director puede hacer arreglos para el acceso y notificar al padre o al estudiante apto sobre el momento y lugar donde los registros pueden ser inspeccionados. El distrito escolar cumplirá con la solicitud sin retrasos innecesarios y antes de cualquier reunión sobre un programa educativo individualizado, o cualquier proceso de audiencia pendiente, y de ninguna manera después de cumplirse los 45 días posteriores a la fecha de la solicitud. Si cualquier registro incluye información sobre más de un menor, los padres de dichos menores tienen derecho a inspeccionar y revisar sólo la información sobre su niño o a ser notificados sobre esa información específica. A solicitud, el distrito escolar entregará al padre o al estudiante apto una copia de los registros de progreso y una copia de los registros de conducta. A solicitud, el distrito escolar entregará al padre o al estudiante apto una lista de los tipos y la ubicación de los registros de educación recolectados, mantenidos, o usados por el distrito para educación especial. El distrito escolar responderá a las solicitudes razonables de explicaciones e interpretación de los registros. Un representante del padre puede inspeccionar y revisar los registros. · El derecho a solicitar la enmienda de los registros de educación que el padre o estudiante apto crea que son incorrectos o engañosos. Los padres o estudiantes aptos pueden pedir que el distrito escolar de [name of school district] corrija un registro que según ellos es incorrecto o engañoso. Ellos deben escribir al director de la escuela, y claramente identificar la parte del registro que desean cambiar, y especificar por qué es incorrecta o engañosa. Si el distrito decide no corregir el registro, el distrito notificará al padre o al estudiante apto de la decisión y el derecho a una audiencia sobre la solicitud de enmienda. Información adicional sobre los procedimientos de audiencia será proporcionada al padre o al estudiante apto cuando se le notifique del derecho a una audiencia. · El derecho a consentir la divulgación de la información de identificación personal en los registros de educación del estudiante, salvo en la medida que las leyes federal y estatal autoricen la divulgación sin consentimiento. Las excepciones están indicadas en 34 CFR 99.31, reglamentos de la Ley de Derechos Educativos de la Familia y la Confidencialidad; Sec. 9528, PL107-110, Ley Que Ningún Niño Se Quede Atrás – o ”No Child Left Behind” del 2001; y la sección 118.125(2)(a) a (m) y sub. (2m), de los Estatutos de Wisconsin. Una excepción que permite la divulgación sin consentimiento es la divulgación a los funcionarios de la escuela con intereses legítimamente educativos. Un funcionario de la escuela es una persona empleada por el distrito como un administrador, supervisor, instructor, o miembro de apoyo del equipo (incluyendo equipo médico o de salud y personal de la unidad de orden público); una persona miembro de la junta directiva de la escuela; una persona o compañía la cual ha sido contratada por el distrito para realizar una tarea especial (como por ejemplo un abogado, auditor, consultor médico, o terapeuta); o un padre o estudiante miembro de un comité oficial, como por ejemplo un comité disciplinario o de agravios, o que ayuda a otro funcionario de la escuela a desarrollar sus labores. Un funcionario de la escuela tiene un interés legitimamente educativo si éste necesita revisar un registro educativo para cumplir con su responsabilidad profesional. A solicitud, el distrito divulga los registros educativos sin consentimiento a los funcionarios de otro distrito escolar en el cual un estudiante busca o pretende matricularse. También, el distrito divulga "datos de directorio" sin consentimiento, a no ser que el padre notifique al distrito que estos no pueden ser divulgados sin previo permiso de los padres. · El derecho a presentar una queja con el Departamento de Educación de los E.U. sobre presuntas fallas del distrito en el cumplimiento de la Ley FERPA. El nombre y dirección de la Oficina que administra la Ley de Derechos Educativos de la Familia y la Confidencialidad o FERPA es: Family Policy Compliance Office, U.S. Department of Education, 400 Maryland Avenue, S.W., Washington, DC 20202-4605. Thank you to all the families who participate in our Madison Reads program again this year. It is a wonderful opportunity to encourage and share in the love of reading. We have been fortunate to have so much family involvement in our events and volunteering at school! Conferences are just around the corner. This is a great opportunity for you to collaborate with your child’s teacher to review his or her progress. Conferences will be held on Wednesday, March 6, and Thursday, March 7, 2019. You will have the same conference time and date as the fall conference. We will be sending home with reminders of your scheduled time. We do set the goal of 100% participation. Supervision on the playground before school does not begin until 8:05 a.m. Please do not enter the parking lot before or after school for all the children’s safety. The signs have been removed for winter plowing, but the rule is still in place. When walking to and from Madison School, please be a good role model and use the cross walk and crossing guard. During the school day if you would like to come into the building for any reason, please stop by the office and sign in first. If you have not signed up for Class DOJO, please consider doing so. 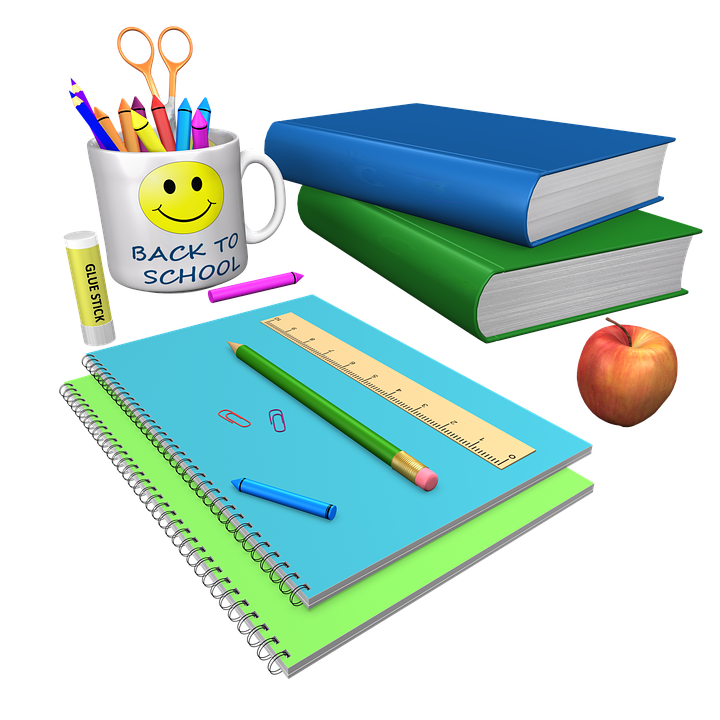 It is the best way to stay up to date on events at Madison and how your child is doing. They are also able to share their work with you through DOJO. I look forward to seeing you at conferences and feel free to contact me with any questions or concerns you may have. Thank you for your being a wonderful partner is all the children’s achievement at Madison School! We will no longer be printing lunch menus for the whole school. Lunch menus can be viewed on our website. Any time that you are going to be in the building you must sign in the office and obtain a visitor badge. Please remember that before school and after school staff may be in meetings and may be unavailable to speak with you. Please email, Dojo or call them to schedule a time to meet. Please note that supervision before school does not start until 8:05. School staff do not start their day until 7:45. This time is for staff to prepare for the day, attend meetings, etc. and are not able to supervise students. Please make sure that your student/s are not arriving before 8:05. The school day ends at 3:08; all students should be off of school grounds by 3:15. If you are not able to be here by 3:15 please make other arrangements to have your student/s picked up. 1. The Boys and Girls Club. They bus the student from Madison to The Boys and Girls Club. You can contact the Boys and Girls Club at 755-0575 for more information. 2. The YWCA Basics Program. This program is housed on site at Madison. You can contact them at 752-5445 or 755-4743 to see if space is available. Please lets all do what we can to keep our students safe. We do not have a stop drop and go in the parking lot at Madison. Please do not enter into the parking lot to drop off your student/s. The only authorized vehicles that are allowed in the parking lot from 7:30-8:30 and 2:30-3:30 are Madison Staff, District Staff, and Buses. Drop off and Pick up for students must be made on the street or on Bond Pl; students can then walk up the sidewalk/or path and then to their outside recess door. After school they can meet their ride at their outside door or walk down the sidewalk/ path. Students will not be let in the front doors before 8:15. There are some exceptions as to why students may be let in the front door. We have students that are in different activities that may meet before school, or students who check-in with staff members. All visitors are asked to talk to the classroom teacher about any intended visits in the classroom during the day. Please give advance notice when requesting to visit a classroom and state the reason for the visit. Please be mindful with asking teachers questions at the beginning of the school day and after school; as teachers are preparing students for the day, leaving, and or may have meetings. Dojo is an excellent resource for asking your child’s teacher questions. You can also email or call to set up a time to meet with your child’s teacher. Birthday treats are welcome, please drop them off at the office and office staff will notify the teacher that there are treats for your child’s birthday. They will pick them up when they are able to. If you are wanting to take the treats to the classroom, office staff will call into the classroom to make sure that the teacher is able to accommodate for the quick visit. Please note that the classroom may be in specials, taking a test or something else that will not allow for the interruption. Welcome to the Third Trimester of school. We have a lot of learning and activities going on during the Third Trimester. ¨ 5th Grade Classes will be visiting BizTown on March 28th. These days were originally no school days for students, but since we used more snow days than we had in reserve these days will now be student contact days. Please call the main line (743-6800) for student messages, students leaving early, or any questions. The attendance line (743-6830) is a message only line. If your student is going to be absent or tardy please call this number and leave a message. Please do not leave messages for students or early pick ups, as this line is checked in the mornings only. Please lets all do what we can to keep our students safe. We do not have a stop drop and go in the parking lot at Madison. Please do not enter into the parking lot to drop off your student/s. The only authorized vehicles that are allowed in the parking lot from 7:30-8:30 and 2:30-3:30 are Madison Staff, District Staff, and Buses. Drop off and Pick up for students must be made on the street or on Bond Pl; students can then walk up the sidewalk/or path and then to their outside recess door. Afterschool they can meet their ride at their outside door or walk down the sidewalk/path. Students will not be let in the front doors before 8:15. There are some exceptions as to why students may be let in the front door. We have students that are in different activities that may meet before school, or students who check-in with staff members. All of our curbs are painted yellow; there is no parking on the yellow curb. In front of the school is for our buses to park to pick drop off/ up students. All other yellow curbs are no parking to make sure that the buses have enough room to enter the parking lot. If you will be moving from your current home address please contact Madison Elementary school office at 743-6800 as soon as possible to determine what paperwork you will need to fill out for your child to continue attending his/her current school. Please note: if you are moving to an address outside the School District of Janesville in most cases your child is eligible to continue attending the School District of Janesville as long as you complete the appropriate paperwork within the required timeline. Si piensa cambiarse de su dirección actual, por favor comuníquese con la oficina de la escuela Madison al 743-6800 lo más pronto posible para determinar que papeleo tendrá que llenar para que su hijo(a) siga asistiendo a su escuela actual. Por favor note: si está mudándose a una dirección fuera del Distrito Escolar de Janesville, en la mayoría de los casos su hijo(a) es elegible para continuar asistiendo al Distrito Escolar de Janesville, siempre y cuando usted complete el papeleo apropiado dentro del tiempo requerido.